Democrats were gaining significant ground in the battle for House control Tuesday night, while Republicans held their Senate majority as voters rendered a mixed verdict in the first nationwide election of Donald Trump’s turbulent presidency. Democrats could dera i l Trump’s legislative agenda for the next two years should they win control of the House. And they would claim subpoena power to investigate Trump’s personal and professional shortcomings. In Texas, Sen Ted Cruz staved off a tough challenge from Democrat Beto O’Rourke, whose recordsmashing fundraising and celebrity have set off buzz he could be a credible 2020 White House contender. In Virginia, political newcomer Jennifer Wexton defeated twoterm GOP Rep. Barbara Comstock. The Republican incumbent had been branded Barbara “Trumpstock” by Democrats in a race that pointed to Trump’s unpopularity among collegeeducated women in the suburbs. Meanwhile, several 2020 presidential prospects easily won reelection, including Sens. Bernie Sanders of Vermont, Elizabeth Warren of Massachusetts, Sherrod Brown of Ohio, Sen. Kirsten Gillibrand of New York and New York Gov. Andrew Cuomo. 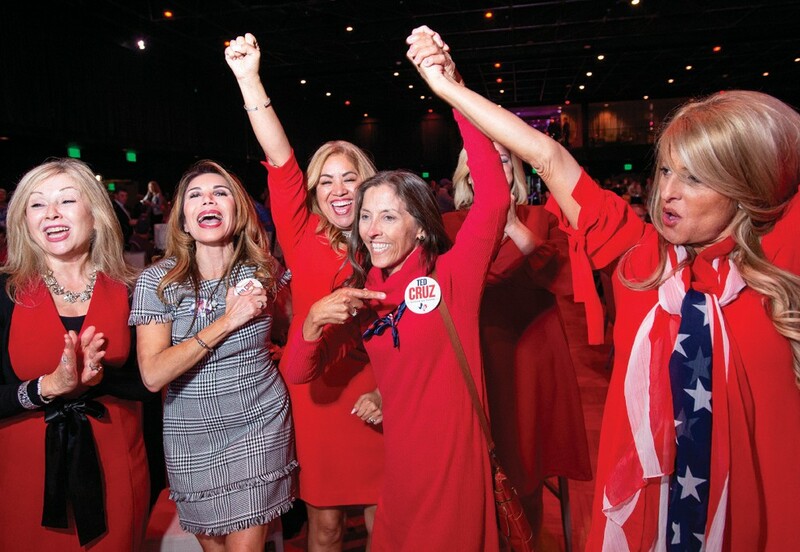 Women voted considerably more in favor of their congressional Democratic candidate.